Big Bang North West 2017 Review: Our Amazing Volunteers! The Big Bang North West may be the largest, most STEM-sational event in our region, but the day wouldn’t be half as successful without our team of enthusiastic (and fantastic) volunteers who give up their time to support it. What is it like being part of our team? I entered the venue at 8am and was checked in and given an coded wristband. I made my way to the volunteer lounge where my pre-assigned seat and bright orange volunteer T-shirts were provided along with a backpack, edible goodies and a drink. Inside was also instructions & a detailed plan of who was doing what and when. We had time to change, chat to other volunteers and familiarise ourselves with the plan and the venue and what was expected as a volunteer. We had a brief talk about the day and then went out onto the floor about 8:45am. Most of the volunteers told me it was their first time but all were very friendly and we also had the other volunteers for support. The first intake of schools were already queuing outside, so the teachers had to check in and all children needed to be given a colour co-ordinated wristband. They were all given a backpack too with brochures and an event show guide. Our initial role as volunteers was to assist with this and to make sure each person got into the venue safely with their wristband and backpack. We also staffed the two information points and gave guidance to staff, pupils and exhibitors when they needed it. We were allowed to take breaks as long as we had cover on our respective area. We were given a food voucher and drinks vouchers for tea and coffee. During your break/lunch you could chill out in the (nice and quiet) volunteer area or spend your time viewing the exhibits and shows around the venue. Most of the questions we were asked were simple – Where are the toilets? Where can we get food and drink? What shows are on and at what time? The volunteer plan also made sure you covered different areas so you had a variety of tasks to do. Once the first session in the morning was completed we had to make sure all the staff and pupils safely left the building. “Wow! 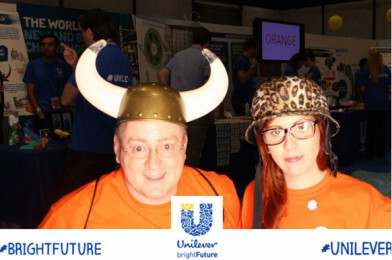 What a fabulous day I had as a volunteer at this year’s Big Bang North West event at the Liverpool Exhibition Centre. I’ve supported Big Bang North West from the onset & every year it seems to get bigger & better. As a volunteer you have a busy day & you have to go with the flow depending on what needs to be done & when, but everyone seems to muck in to ensure things go smoothly. The All About STEM team do a great job preparing volunteers so you know what to expect on the day. This year I spent a lot of my time manning the flood gates, i.e. helping to make sure that all the school/college parties got through reception & into the exhibition halls in an orderly manner. I hadn’t much time to go round all the stands in the exhibition halls, but what struck me was how interactive everything was & how engaged the students were. It was great to see so many primary school children taking part. A HUGE thank you to you both. We are so glad you enjoyed it and we look forward to seeing you next year! If you would like to support our event, we will be posting our volunteer call on our website in 2018. In the meantime, how about becoming a STEM Ambassador?